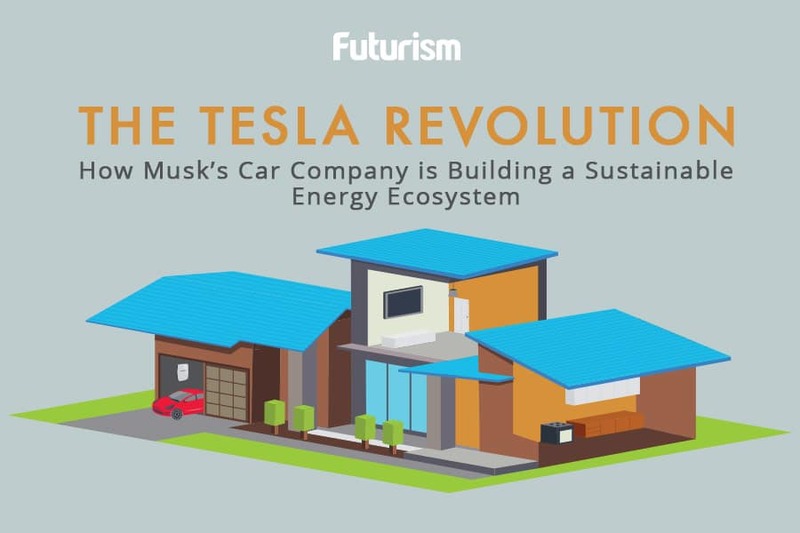 Tesla is taking over your house, and it's a great thing. Imagine living in a four-bedroom house with a large array of appliances that are driven by a whole lot of electricity. After adding up the costs to power your home in previous years, you find that you’d been spending approximately $2,289 annually. But a year ago you installed one of Tesla’s new Powerwalls, a rechargeable lithium ion battery that you’ve combined with a 5kWp solar array, SolarEdge inverter, and Reposit monitoring system. When totaling the electricity consumption costs for this year, you see that the bill dropped to a mere $178.71. This story belongs to Nick Pfitzner, the first Australian to install a Tesla Powerwall in his home. A year after installation, he was able to see a 92 percent annual savings, with his quarterly bill decreasing from $572 in 2015 to $45 in 2016. He even received a $50 credit one quarter as the system’s unused electricity can be sold back to the grid. The entirety of Pfitzner’s solar system cost him $16,790 up front, which he believes he can pay off within eight years. Tesla has a vision for future powered by clean energy, and the Powerwall is just part of that vision. Tesla’s Gigafactory 1, which manufactures the Powerwall as well as Tesla’s battery cells and Powerpacks, is a major part of that vision and a driving force behind the company’s progress in making sustainable energy technologies cheaper and more widely available to the public. But Tesla’s other initiatives can’t go unnoticed. Last year, Tesla partnered with SolarCity to produce their Solar Roof Tiles, which should be completed within the year. These solar tiles convert sunlight into energy that can be used immediately or stored within the Powerwall. Tesla CEO Elon Musk has suggested that the tech could be used in the development of solar-powered cars. But you really can’t talk about Tesla without mentioning the company’s roots: electric cars. Tesla’s Model S plans to reach a range of 1,000 kilometers (621 miles) per single charge sometime this year, and by 2020, the range could increase to 1,199 kilometers (745 miles). Given all of the projects Tesla has in the works, it almost seems farfetched to imagine that the company could accomplish them all. But Elon Musk’s vision for the future is shared by many, and this support will only serve to help the company. Globally, our consumption of fossil fuels won’t slow down until we speed up the production of renewable energy technologies, so with Tesla and other like-minded companies leading the way, we can forge a path to a future of clean energy.